A CDL holder wanting a Charter Bus Endorsement - an endorsement for the sole purpose of transporting students in grades 12 and below under a single contract at a fixed rate for the exclusive use of the vehicle when used for a school sponsored activity - must first pass the knowledge exam based on Sections 2 and 4 of this manual (if your bus has air brakes, you also must pass the air brake exam based on Section 5). 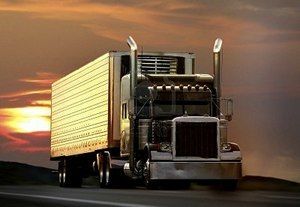 You must pass the skills and driving exams in a representative vehicle of the license class for which you are applying. Possess a valid and properly classified driverʼs license issued by the Secretary of State. Submit to and successfully pass a specific criminal background check through an approved vendor. Complete a medical examination, including chemical testing for drugs. A current medical card is acceptable. Successfully pass a written charter bus endorsement exam administered by the Secretary of State. Successfully pass a driving exam, if applicable, in a representative vehicle of the class of the driverʼs license for passenger and charter bus endorsements. Affirm under penalties of perjury that you have not made a false statement or knowingly concealed a material fact in any application for a charter bus endorsement. When entering or exiting an expressway, do so as quickly and as safely as possible. Unless absolutely necessary, never bring your vehicle to a complete stop immediately before entering any high speed expressway. Enter and merge as safely as possible with the flow of traffic. The emergency door must be unlocked (if lock-equipped) but securely latched when the school bus is in operation. The driver must not back a bus at the school while students are in the vicinity unless a responsible person is present to guide the bus driver. What is a charter bus endorsement? An endorsement for the purpose of transporting adults, or children supervised by adults, for non-school purposes. Which of the following requirements to obtain a charter bus endorsement is incorrect? Possess a valid and properly classified driver's license issued by the Secretary if State. Submit to and successfully pass an Illinois specific criminal background check through an approved vendor. Complete a medical examination, including chemical testing for drugs. A current DOT medical card is acceptable. Successfully pass a driving exam, if applicable, in a representative vehicle of the class of the driver's license for passenger and charter bus endorsements.